Almost certainly the new release will have caused total chaos for a lot of users. As I discovered this morning, having not thought about the settings for the Windows Store and Google Play ever (yes I know, stupid me), all my Kodi builds (3 laptops, 1 HTPC and a tablet) have been updated to Kodi 18 and are now broken because the skins are not compatible. This is a shambles and I will need several hours of work to make as many of the skins compatible as possible. I am not blaming the Kodi team too much for this - they are not responsible for the skins nor for me leaving auto-update on but it is absolutely the case that the Kodi team should (assuming this was technically possible) have ensured that no updating happened without the user confirming he/she wanted an update even when auto-update was set in Google Play or Windows Store. (2019-01-30, 12:01)Kolnes25 Wrote: My kodi does download my channels, but not tv list from client, does anyone know what the problem is? Yes, something is not working correctly. If you want support, create your own new forum thread in the correct forum section, and give at least more details as well as a full debug log (wiki) so we have at least something to work with. (2019-01-30, 17:48)Klojum Wrote: Once that happens, the skins page script will automagically add them. Quartz is available from the leia repo yet still not on the skins page. Hope that gets addressed at some point because I worked hard to resurrect this skin. 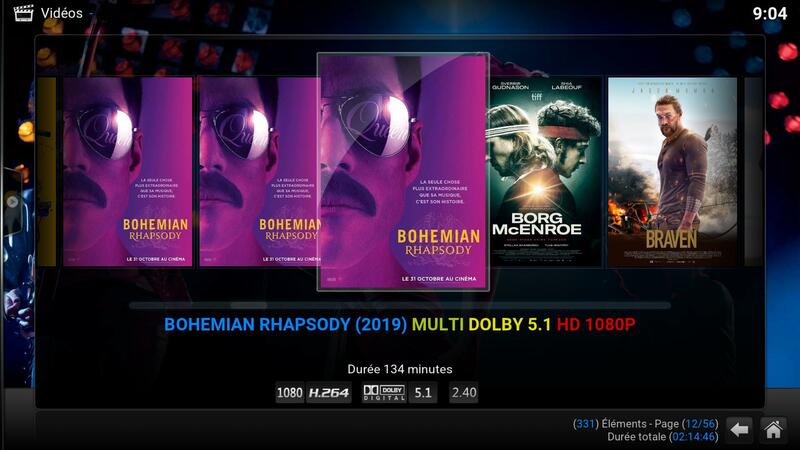 (2019-01-30, 18:04)justin150 Wrote: I am not blaming the Kodi team too much for this - they are not responsible for the skins nor for me leaving auto-update on but it is absolutely the case that the Kodi team should (assuming this was technically possible) have ensured that no updating happened without the user confirming he/she wanted an update even when auto-update was set in Google Play or Windows Store. The only way to do that would be not to use the Play Store or Windows Store, which aren't options. Both of those (if set to do so) will auto-update without Kodi even being running (indeed they will close it to do so if it is). Nothing we can do about it, this one is down to the user to take control of their own device settings and turn of such updates in the stores if they don't want them. Most users do though, and such is the default from Google/MS. On Windows you can forego the store and just do a manual exe install (download from the link at the top of the page). On Android you can also side-load, but the Play Store will still update even that if you don't tell it not to. Nvidia Shield must have auto update. Ugh. I don't have any additional skins. Best I can tell it broke the link to my NAS somehow. Try to play anything and get an eternal spinning wheel. Locks up. I think I am going to have to uninstall and start over. And that is such a pain. (2019-01-31, 05:44)wdpcpa Wrote: Nvidia Shield must have auto update. It does, it runs Android. Android auto-updates by default as it does on every Android mobile phone. You can disable it. I would also be very happy to see Leia for Apple TV 4/4K. Why does Leia 64bit install in program files x86 folder on Windows? *MOD EDIT* : 2 screenshot links removed because of banned add-on references. Moderators can still access them if necessary. Is that add-on the XSteam one that you seem to have taken your name from, and that is on the banned addons (wiki) list? No its just my pseudo and i test with other addon and save thing no tags , something is missing in the code. It works on kodi 17.6 the only ways i can get tags when i clic stop on a movie if its comming from my pc and i said the folder is a movie folder .